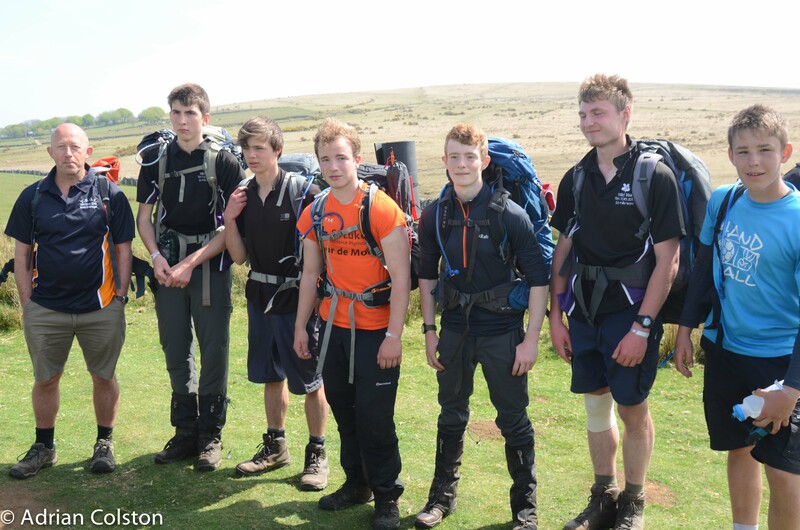 As I said in my blog yesterday – 10 Tors is a life changing experience for the young people involved – see here. 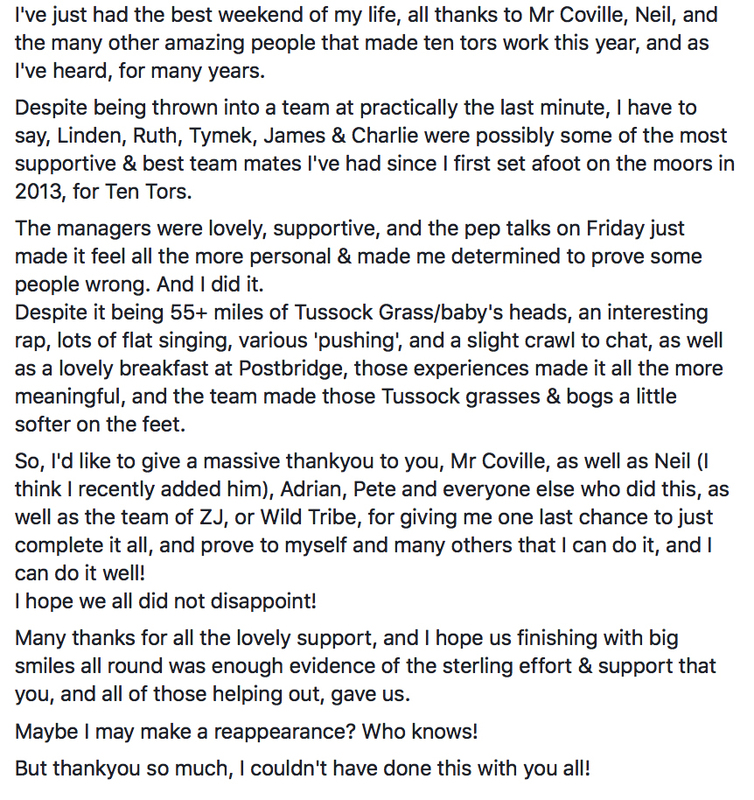 Today the post below appeared on Facebook – this is why all of us involved with 10 Tors do it! National Trust Wild Tribe were one person short a couple of week’s ago and we took this person on after he had been rejected by his Institution as being incapable of completing the 55 mile course. He came in with the Wild Tribe 2 hours before the team that rejected him. Tony’s pep talks are powerful and young people are brilliant. 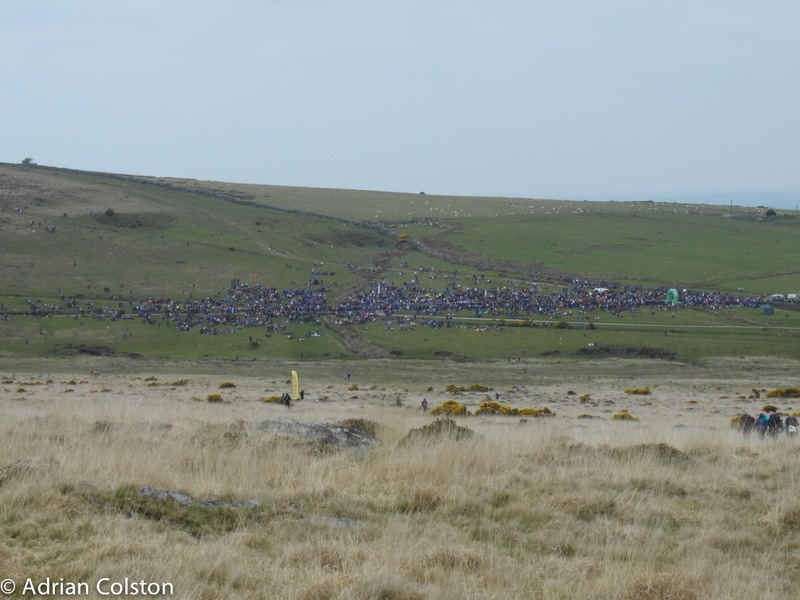 Over the weekend the 10 Tors Challenge took place on Dartmoor. 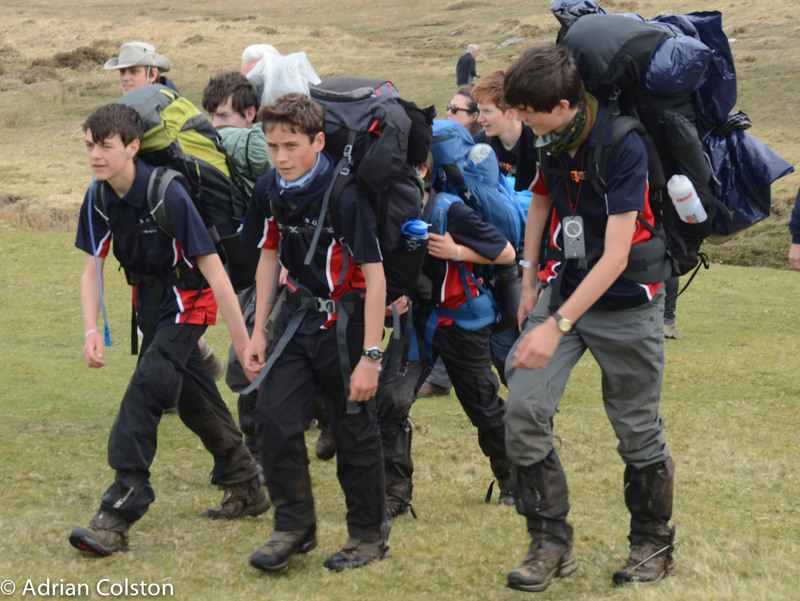 With Pete Davies, I run the National Trust’s Wild Tribe teams and we work very closely with Torquay Boys Grammar School. 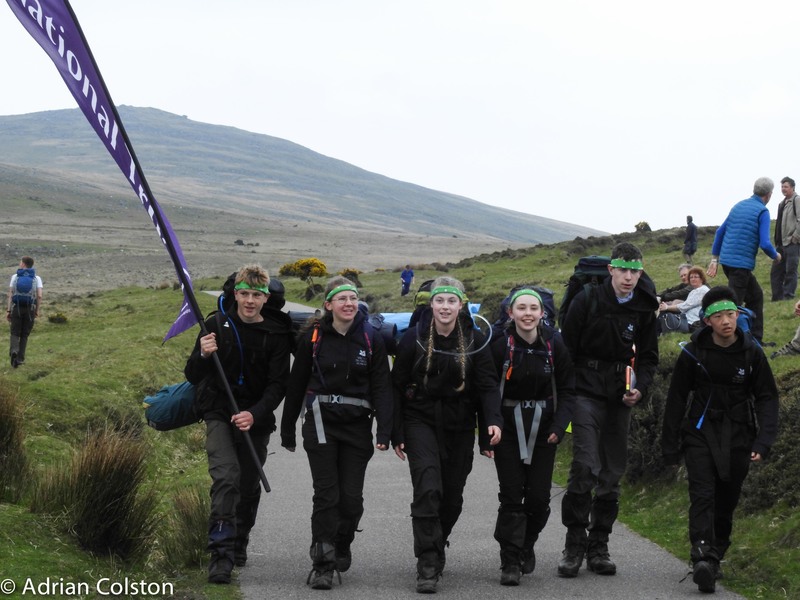 In total we had 8 teams out on the moor – three 35 milers, two 45ers and three 55 mile teams. 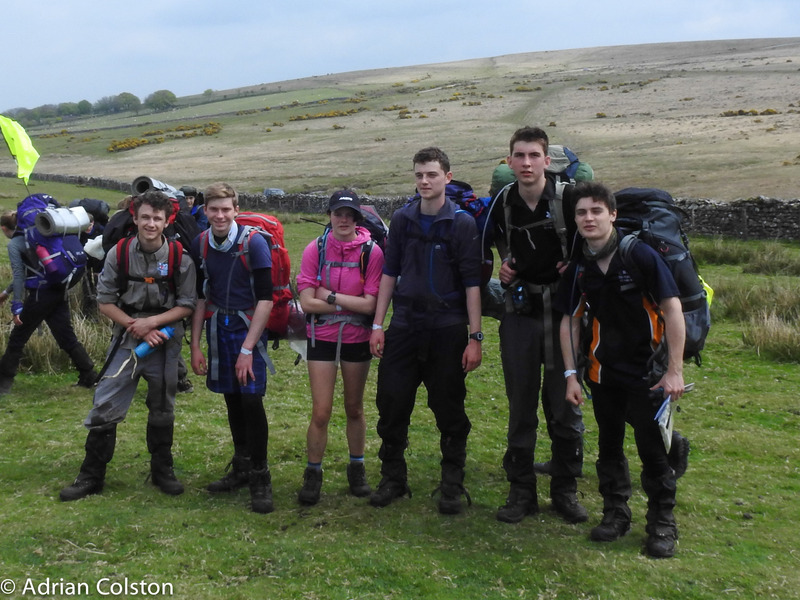 All successfully completed their walks and we were able to leave the moor by 12.45pm on the Sunday. A hugely successful weekend for everyone and a brilliant culmination to the months of training. Well done to all our teams. Belted Galloway cattle grazing on the flanks of Rowtor. 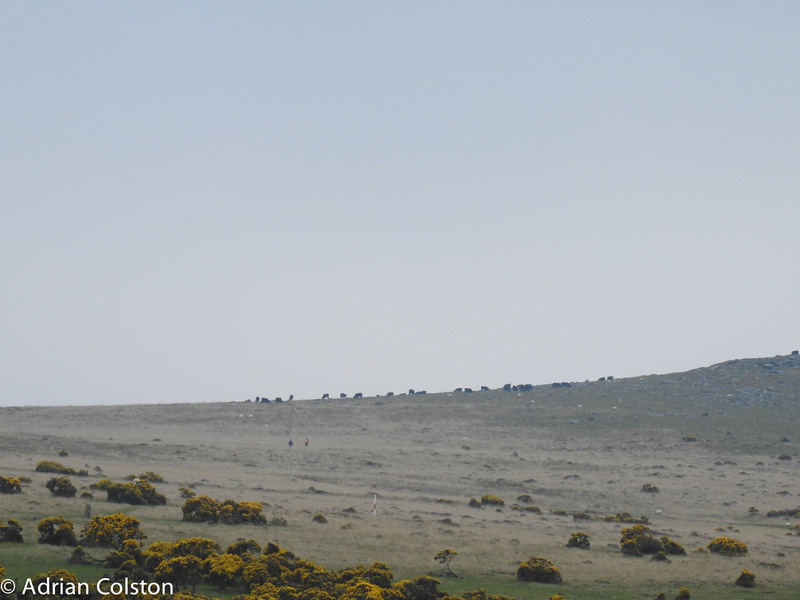 These cattle were put onto the moor from their winter grazing pastures immediately after the start – hours earlier 2400 young people walked up the hills from the start- the delay in releasing them onto the Common ensured there were no dangerous cattle / young people interactions! All done! 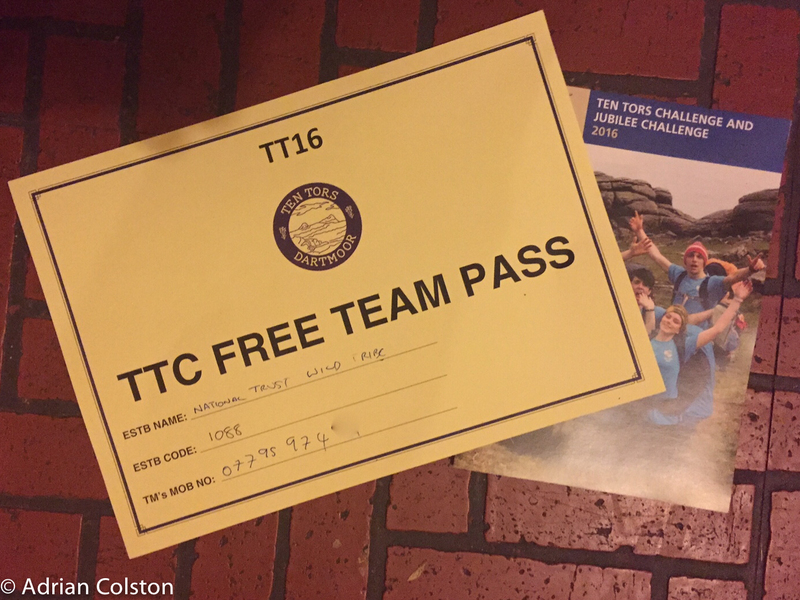 Covering 55 miles (and the rest) in under 30 hours is a fantastic achievement. 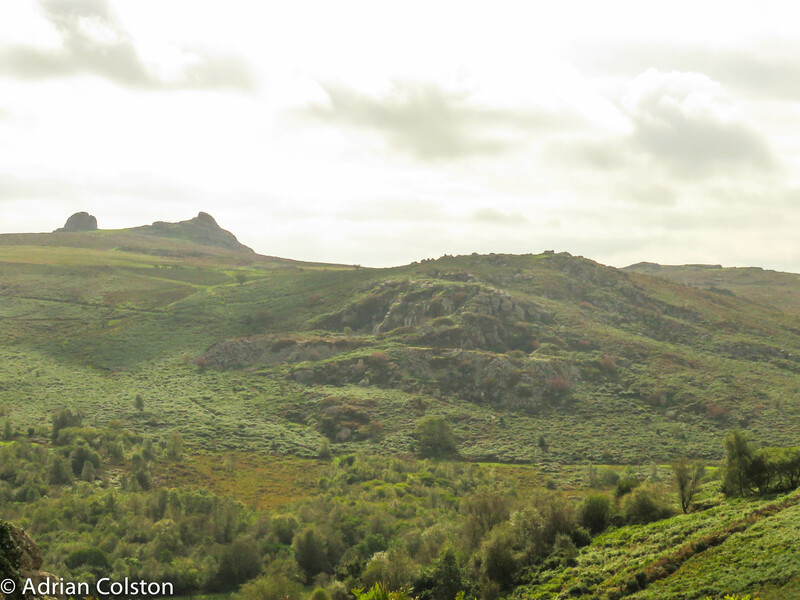 Looking across to West Mill Tor and Yes Tor – it all looks very calm and quiet. 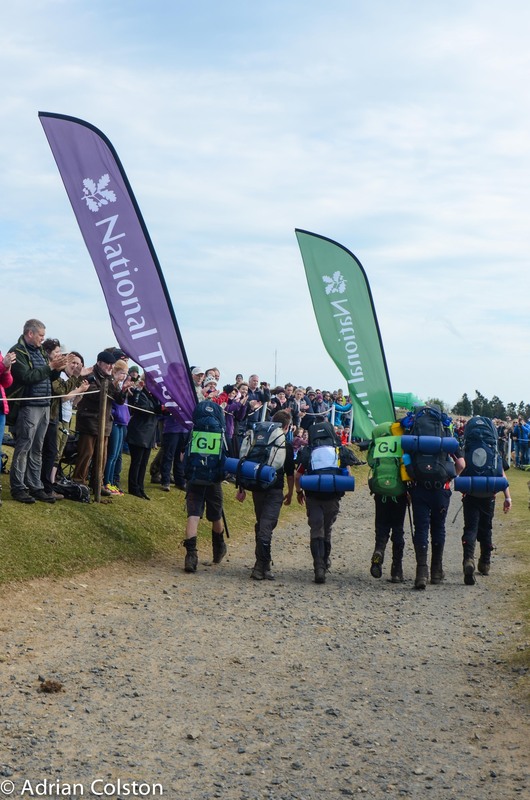 One of the highlights of my year – the seventh year the National Trust has run and supported 10 Tors teams – hopefully many more to come. 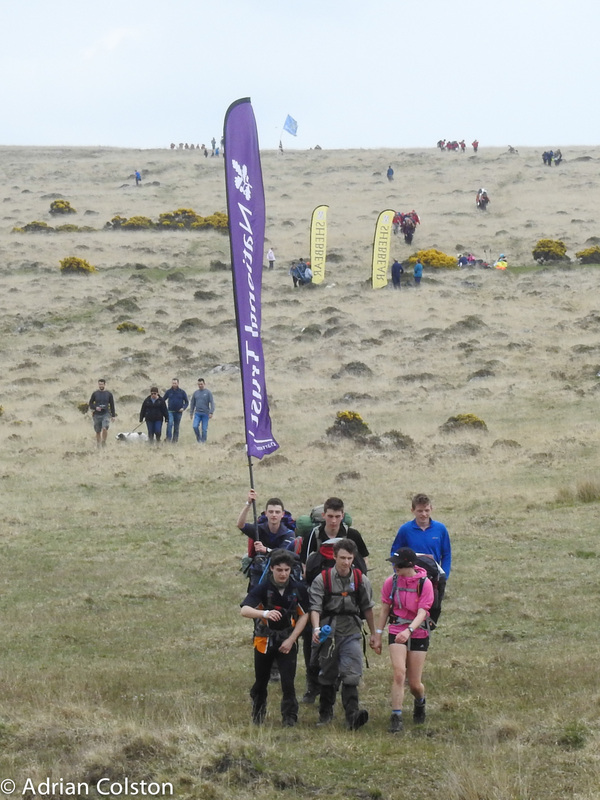 All those young people who complete the 10 Tors Challenge undergo a life changing experience which gives them all sorts of skills for their coming lives: resilience, comradeship, fitness, leadership, endurance and a love of Dartmoor and the outdoors. 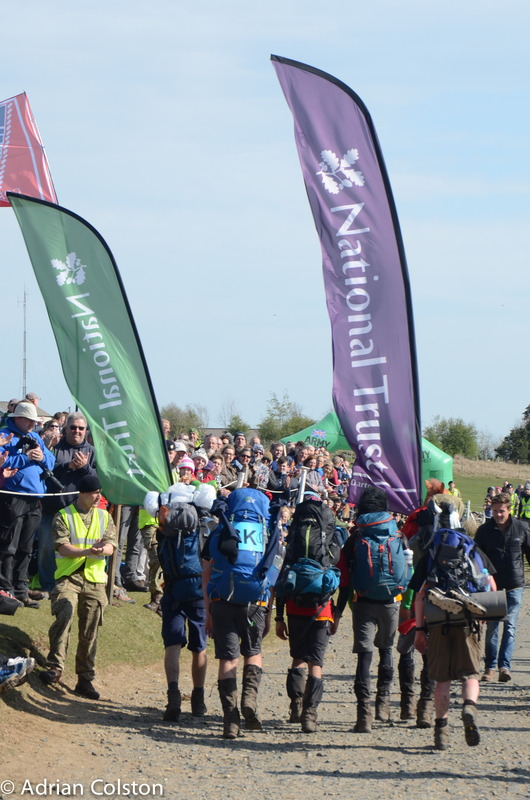 Thanks to the Army for organising it and thanks to the many volunteers and staff of TBGS who help the National Trust and its Wild Tribe teams participate. 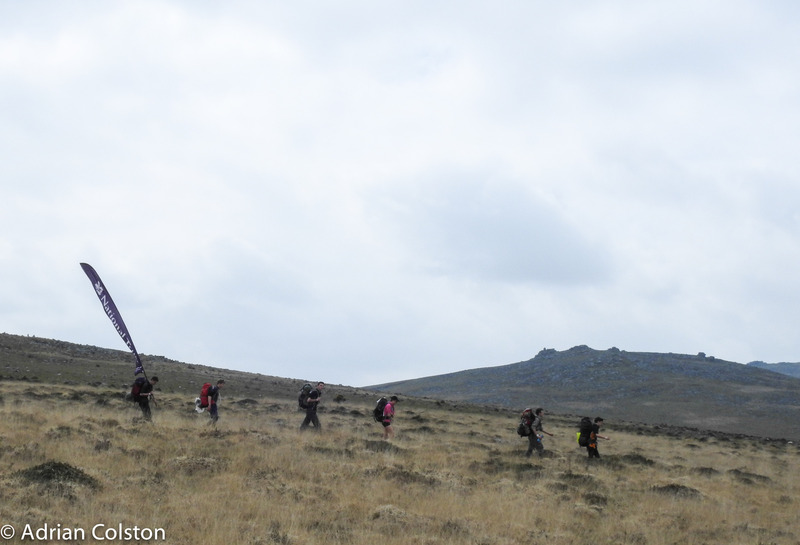 I was up on the Moor over the weekend helping look after 9 teams of 10 Tors participants from the National Trust Wild Tribe and Torquay Boys Grammar School. 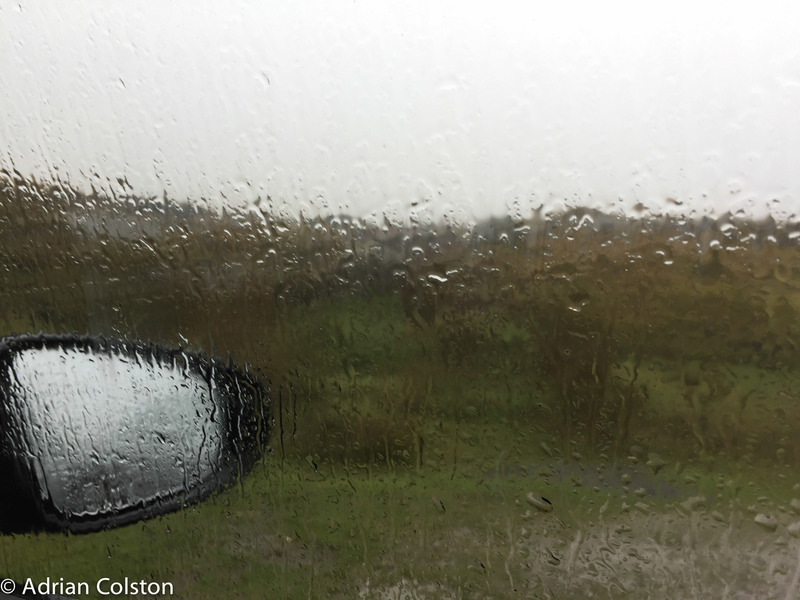 Saturday saw some of the worst and most challenging conditions I have witnessed on Dartmoor – persistent driving rain, a strong wind and very poor visibility. 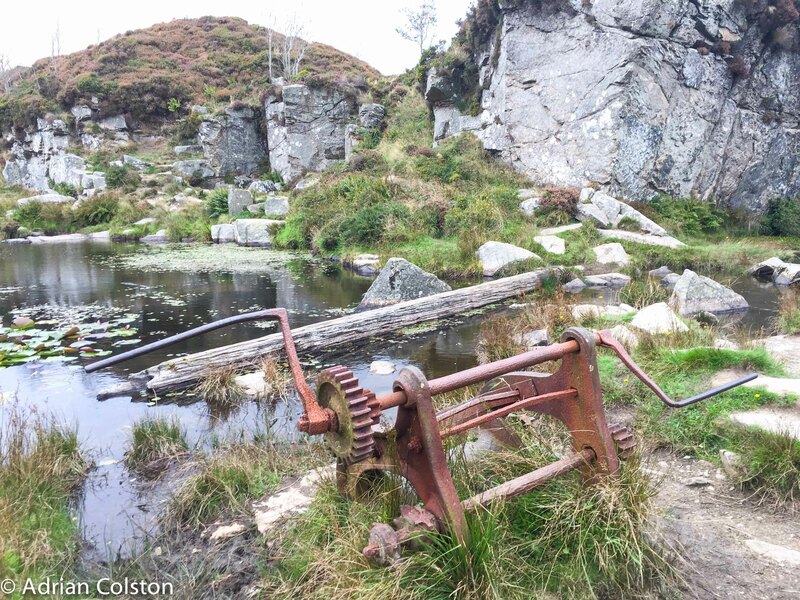 As a result – very few photographs ….. 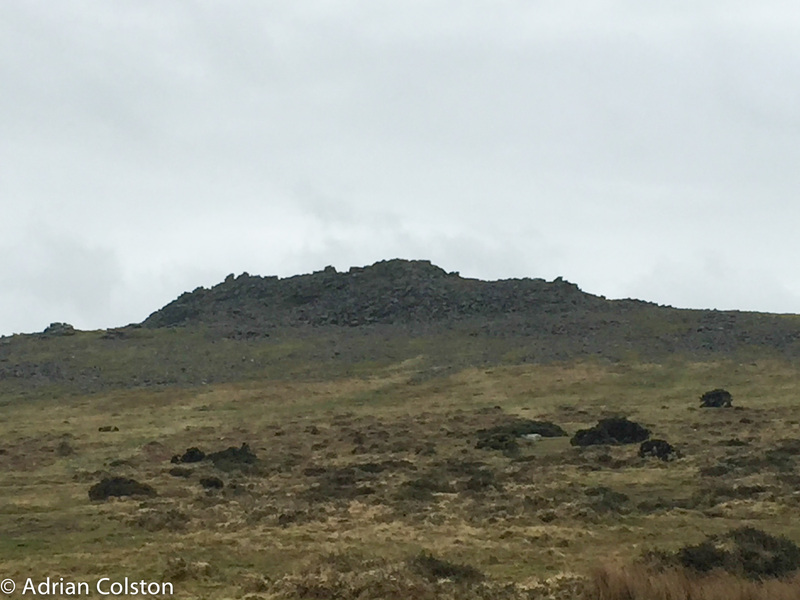 This is a photo of Red Lake tip taken in 2015 (it is the conical man made peak in the middle ground) – on Saturday we could only see it when we were 200m from it – a day of navigation by compass – which Pete did very expertly all day. 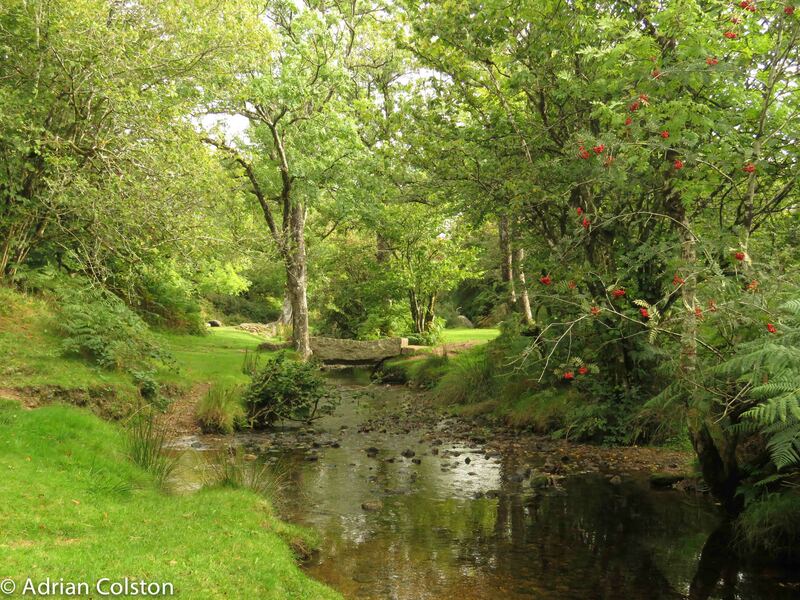 This is the O Brook on a sunny day! 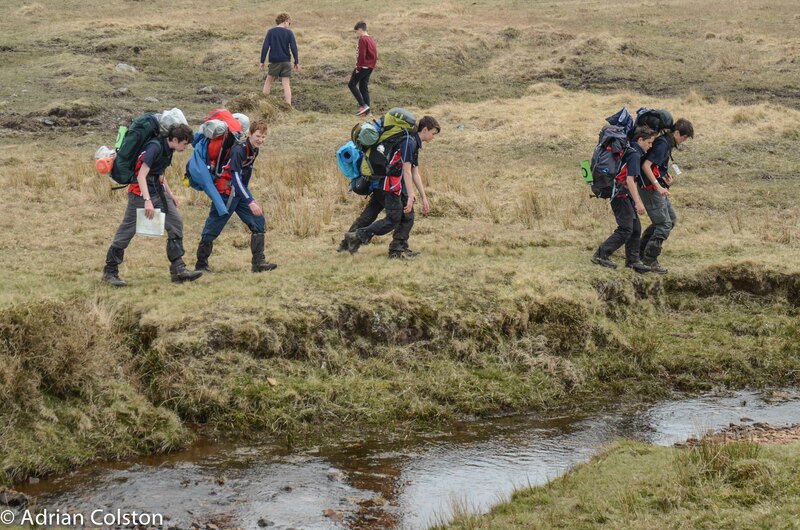 Very challenging conditions – well done to all the young people who took part over the weekend – if you can walk and navigate in those conditions you have cracked it! 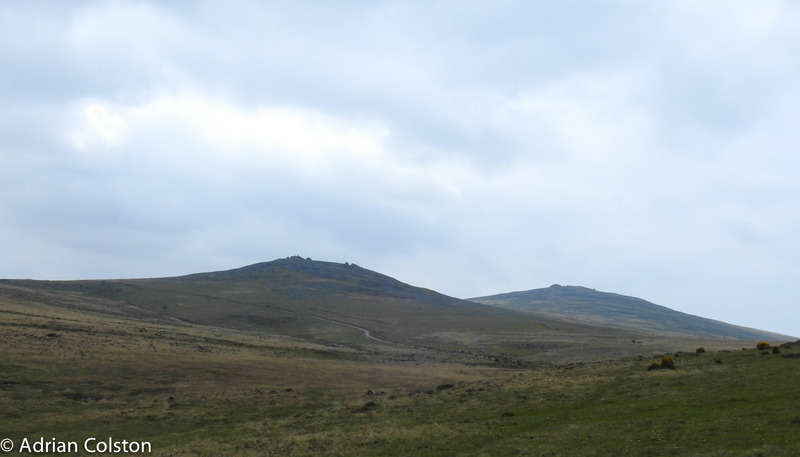 Dartmoor was character building over the weekend and undoubtedly the moor build some new characters. 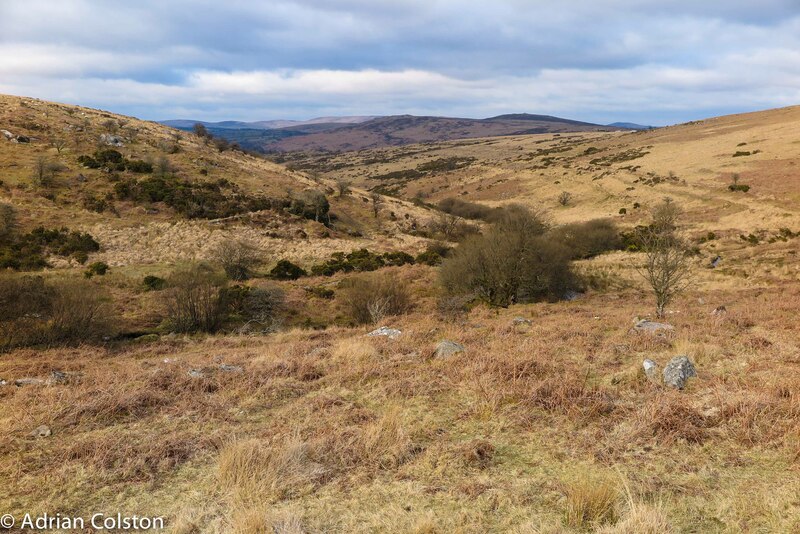 Whilst I like reading and writing about Dartmoor you can’t beat the experience of getting out into Dartmoor. 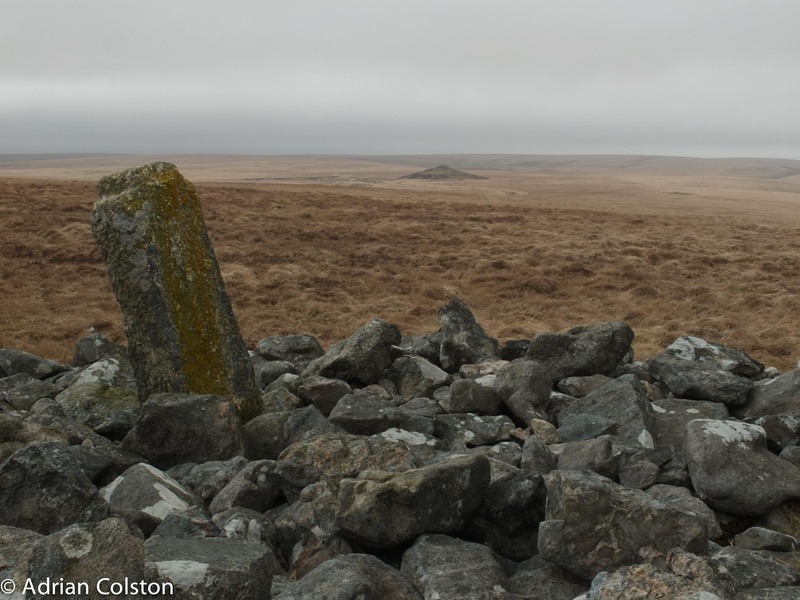 Yesterday the annual 10 Tors cycle began again. 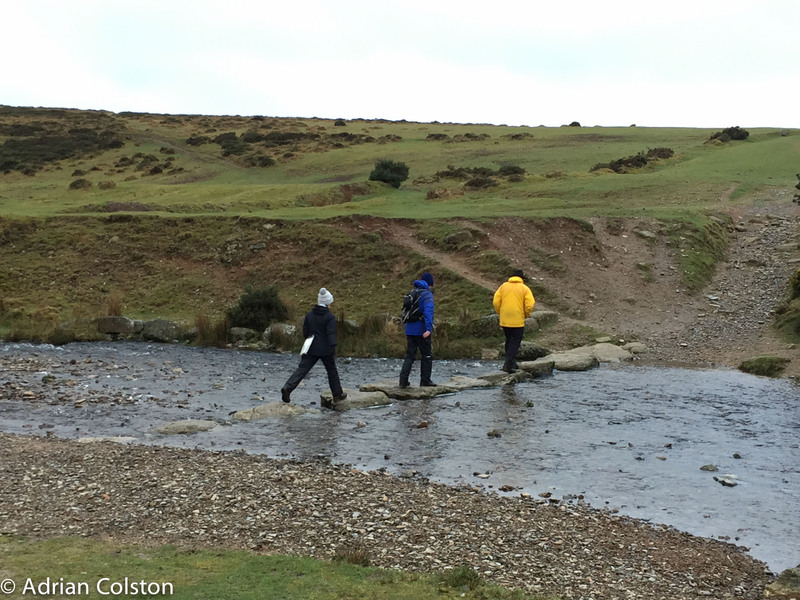 We were out on the moor training the new prospective students how to read maps, navigate and walk on Dartmoor. 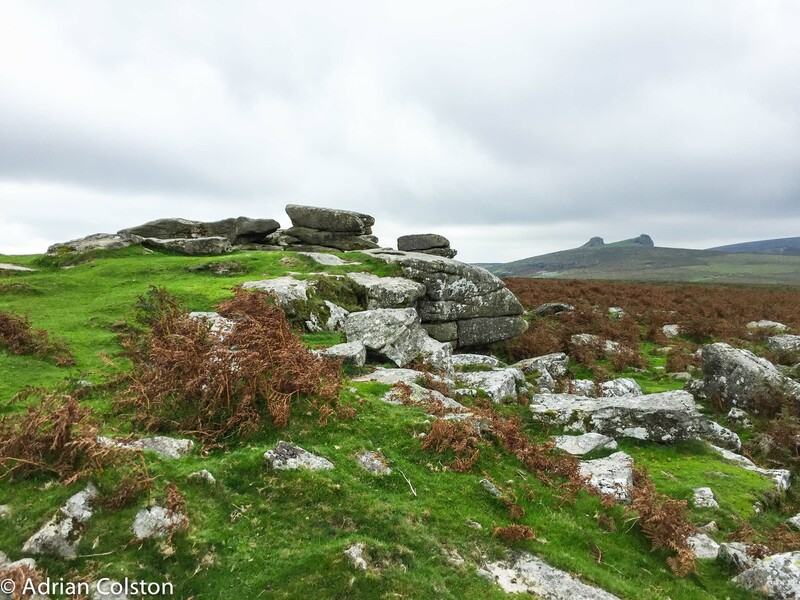 We had six groups of students walking various routes from Haytor to Hound Tor and back. 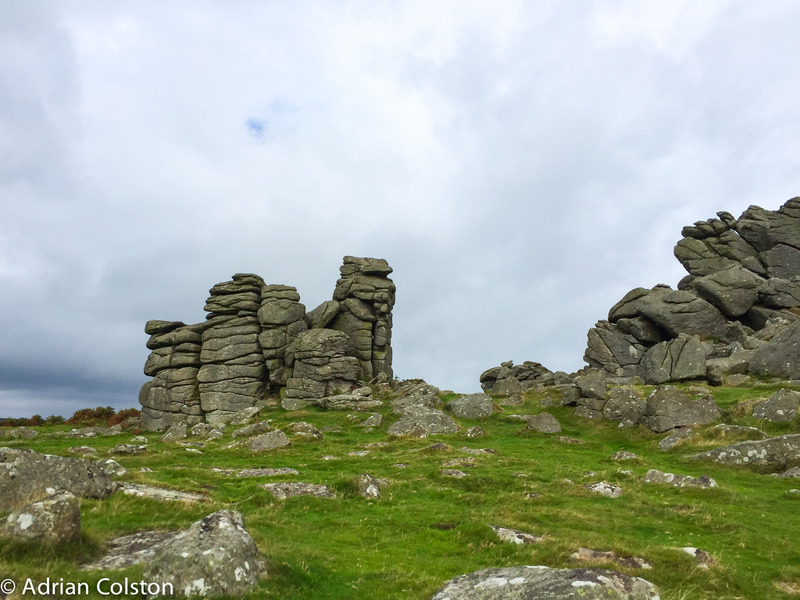 This is the route I took – it is about 8km long and is a good introductory walk on Dartmoor – it does go up and down and requires walking boots, a compass, map and a coat but nevertheless is an achievable walk which visits a number of interesting places. 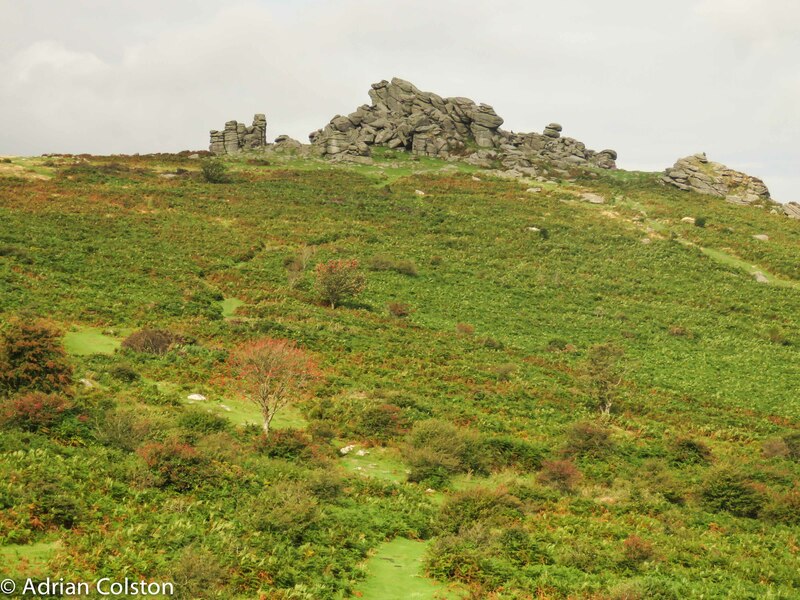 It starts at the lower Haytor Car Park. 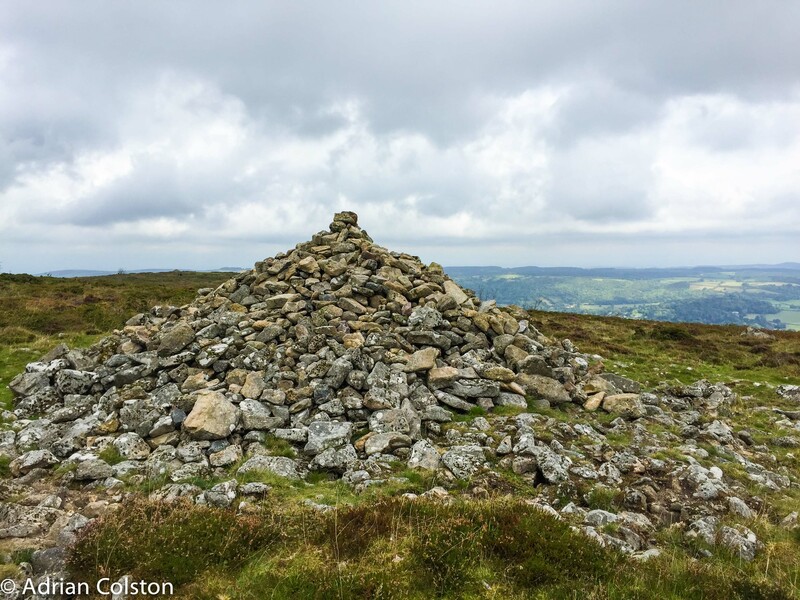 The Cairn on the summit of Black Hill with the Bovey Valley in the background. 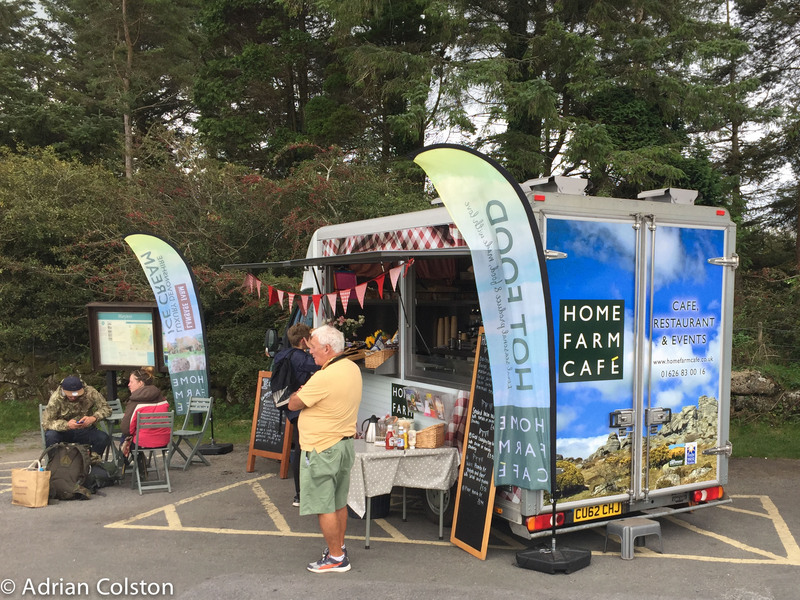 Back down to the car park for a cup of tea and a piece of flapjack with my old friends from Home Farm Cafe. 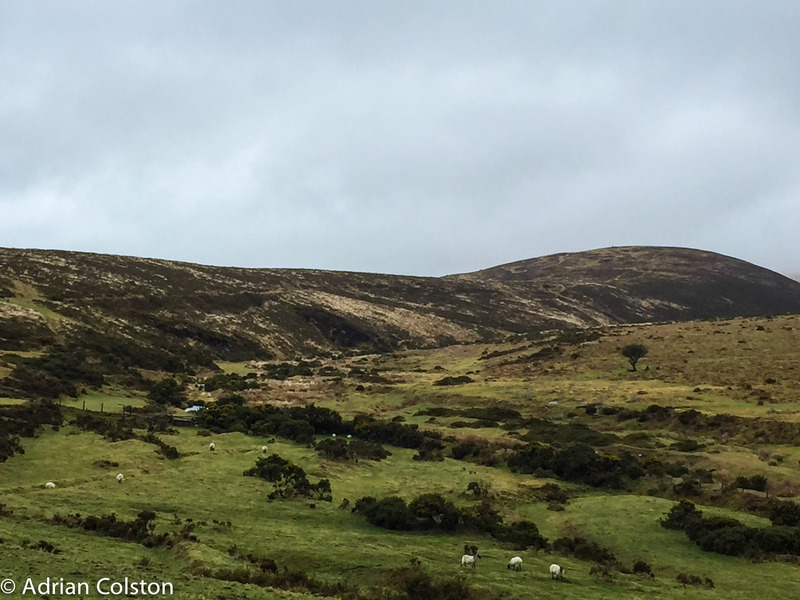 A very blustery day up on the moor yesterday but we missed out on the rain! 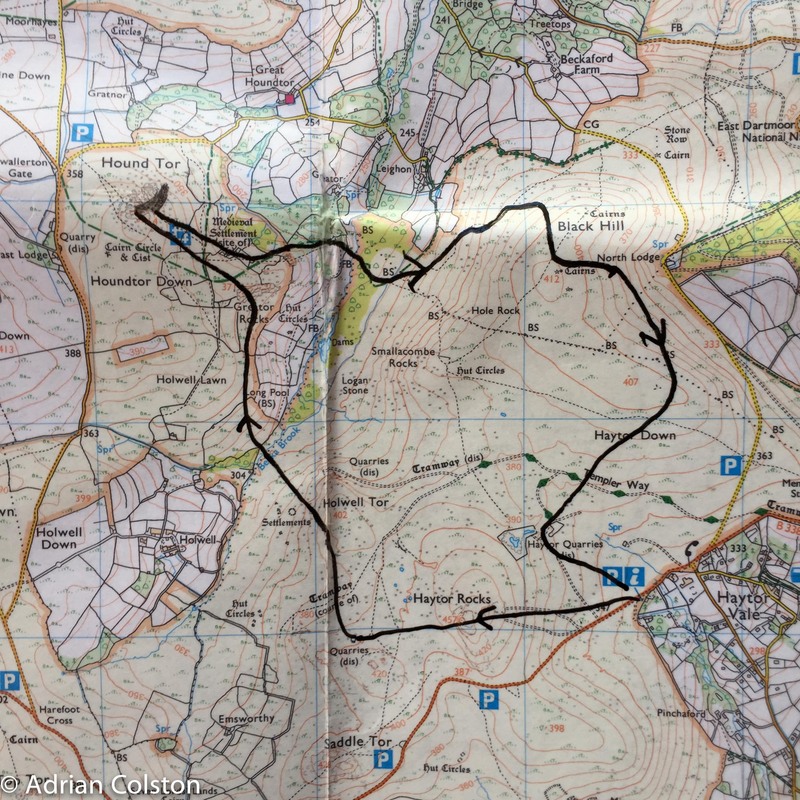 I can recommend this walk if you want to recharge your batteries and burn a few calories. 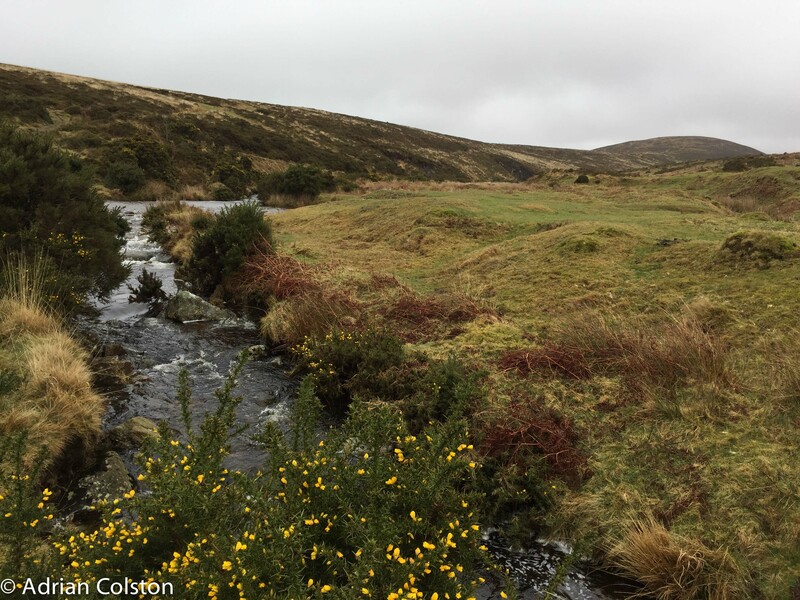 The area is rich in archaeology and moor itself is well managed by the Commoners and is great for wildlife. 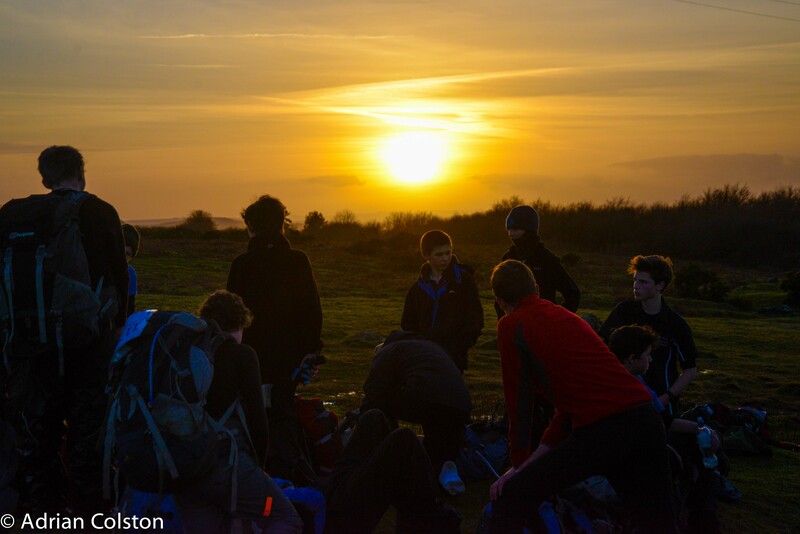 Another amazing 10 Tors weekend has come and gone. 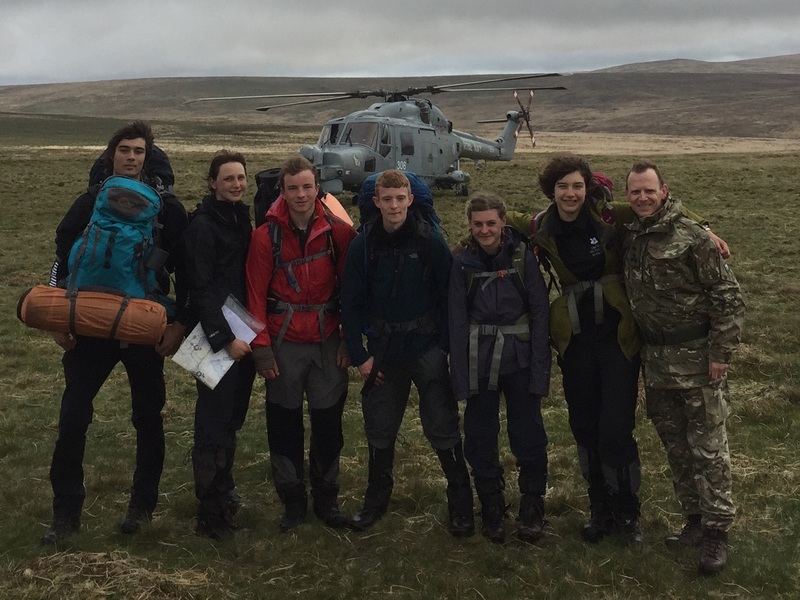 Here are some photographs of the teams that I have helped train and manage finishing their weekend of walking. 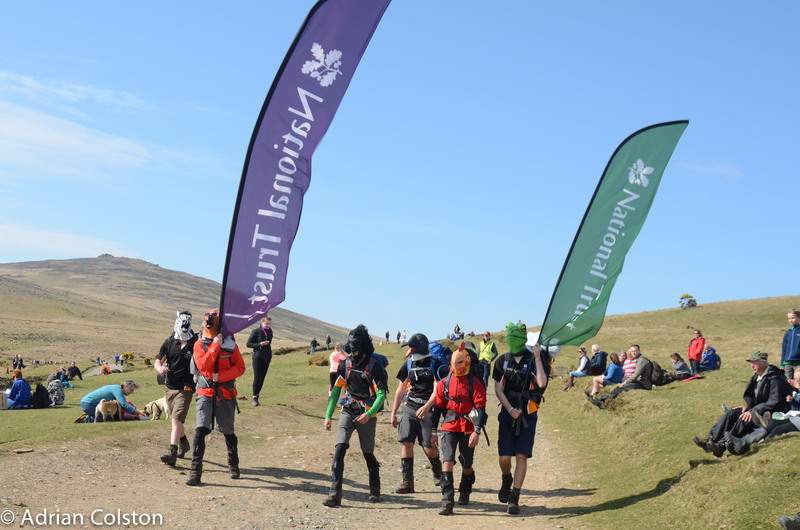 Here come the National Trust Wild Tribe 45 mile team – it is around 10am – they are the third 45 mile team in! Taking the ‘Wild’ theme very seriously – from zebras to apes, penguins, frogs and …. I’m not sure what the 5th right is? I managed to get to their medal ceremony. 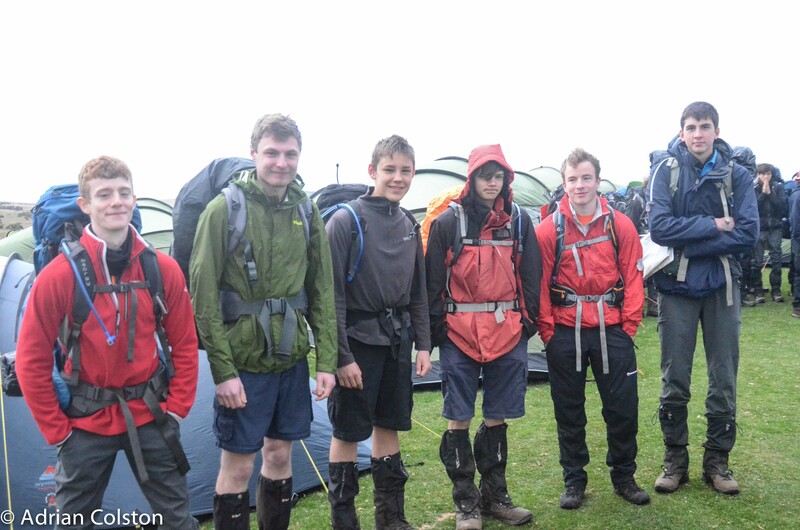 In previous years we have been waiting for our 55 mile teams to come in at 4pm and even 5pm! To get in before midday is an awesome achievement. 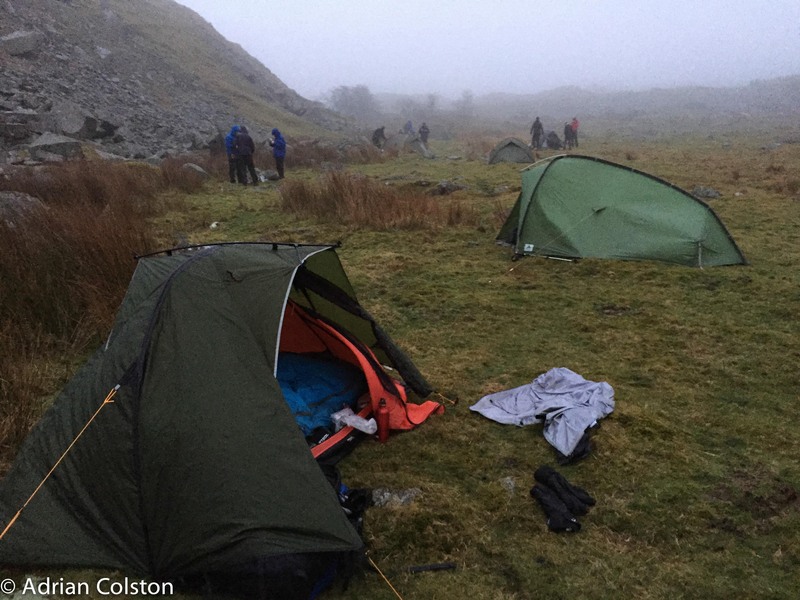 A photograph of the 55 milers at 6.15am on Saturday – just before we all head to the start – do I see apprehension as well as excitement? 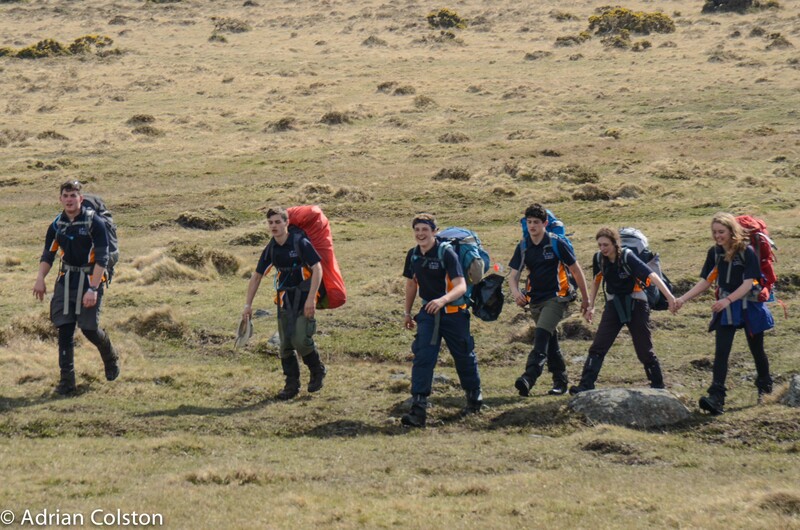 The National Trust Wild Tribe teams work and train hand in glove with Torquay Boys Grammar School. 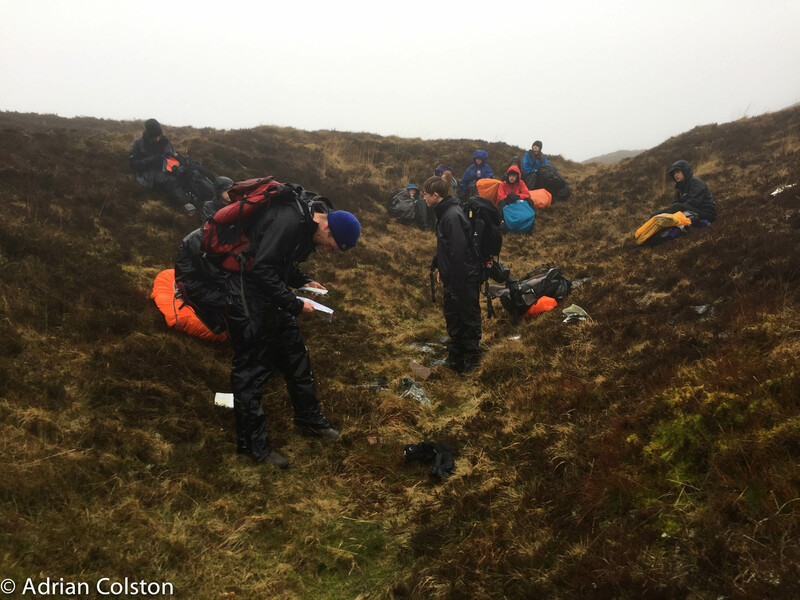 Without the support, encouragement and very hard work of Dr Roy Colville and the school generally, the NT couldn’t do 10 Tors. 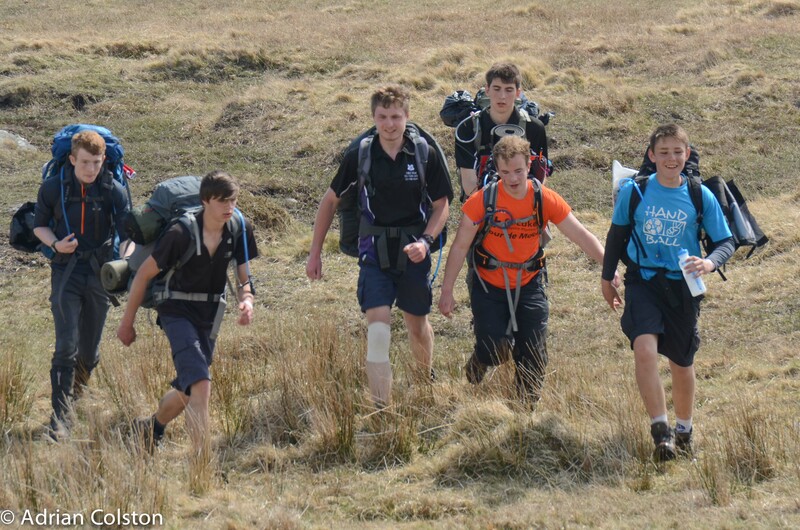 Here come the TBGS 35 mile A team approaching the finish. Another amazing performance – in before 1pm. Sorry I missed the TBGS 35 mile B team as I was at the medal ceremony for the 55ers. 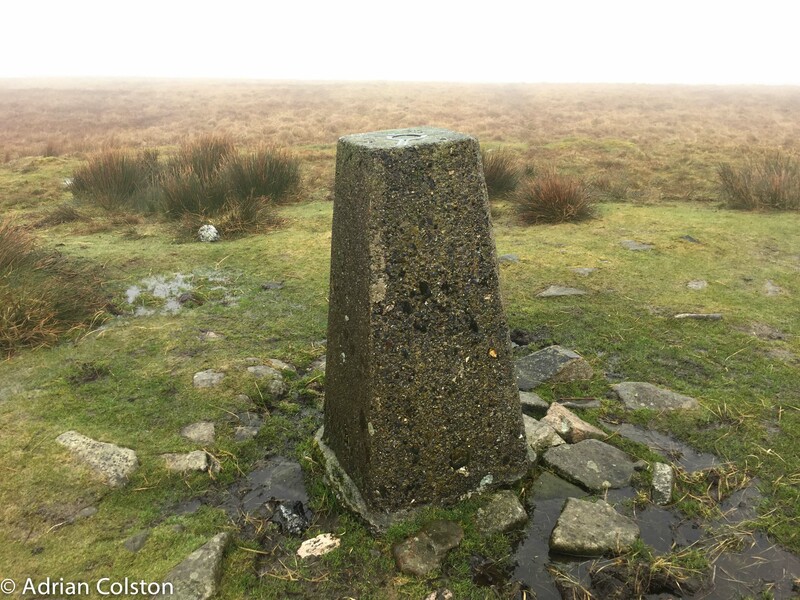 For those of us who manage 10 Tors Teams the ‘weekend’ starts on Thursday and finishes on Sunday – I will tell some of the other stories of the entire weekend over the coming days in this blog. 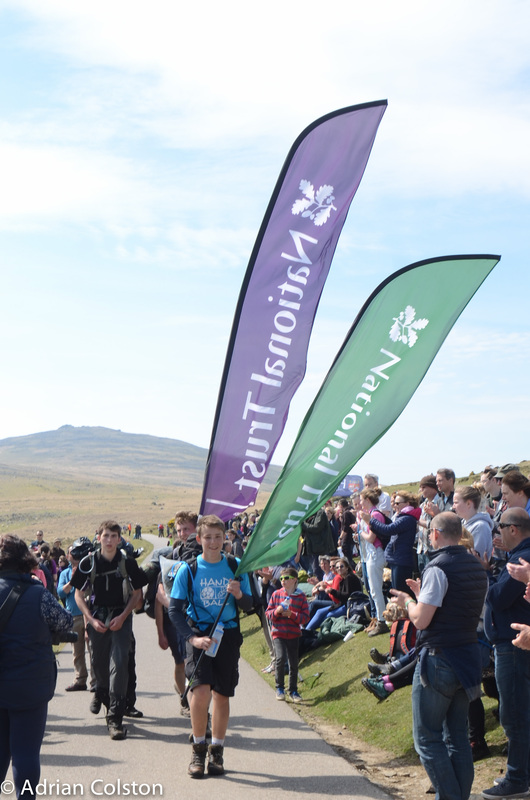 Finally, huge congratulations to all the participants, thanks to the team of TBGS staff and volunteers, thanks to the staff and volunteers from the National Trust team on Dartmoor and thanks to the Army for organising it -it was very slick and well organised. I have been involved with two of the largest mass participation outdoor sporting events in the south west. 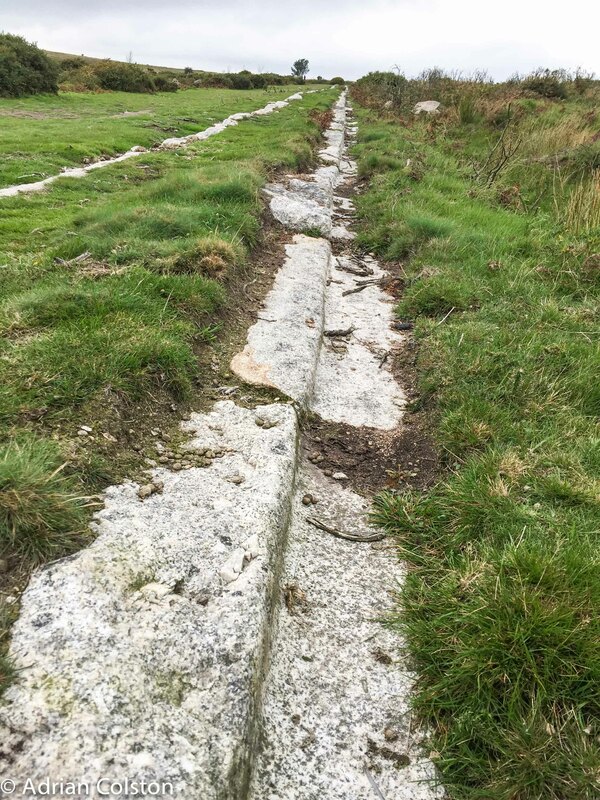 Last week I competed in the Isles of Scilly World Gig Rowing Championships (see here, here and here) and today I’m off to the 2016 Ten Tors Challenge event. 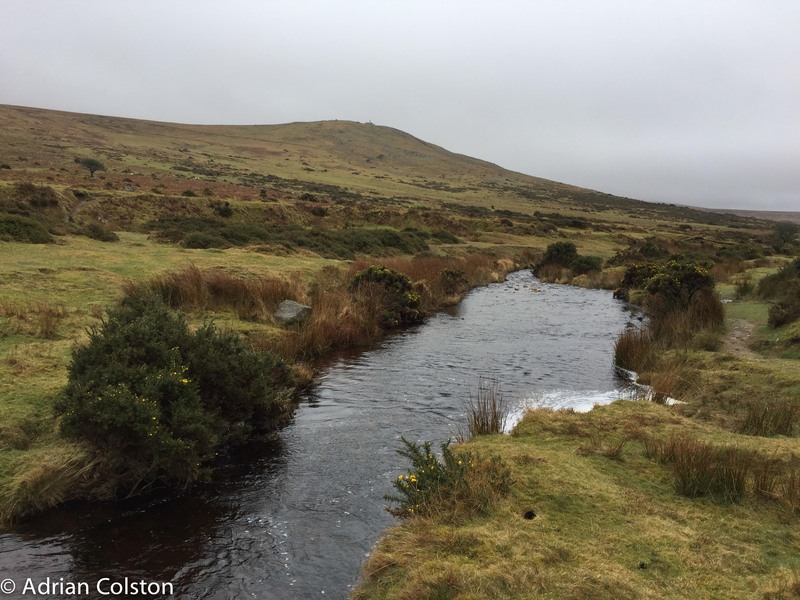 I’m the Team Manager for the National Trust on Dartmoor (I’m now a volunteer but was previously the NT’s General Manager on the Moor). 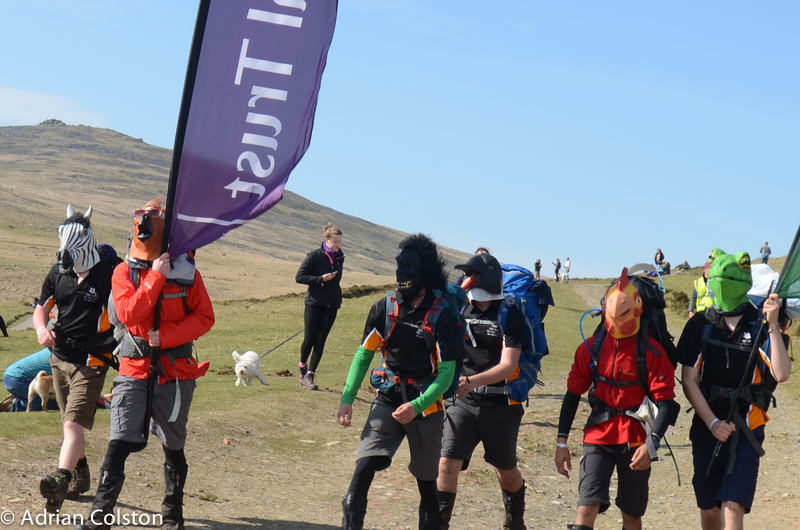 We have three teams – 35, 45 and 55 milers. 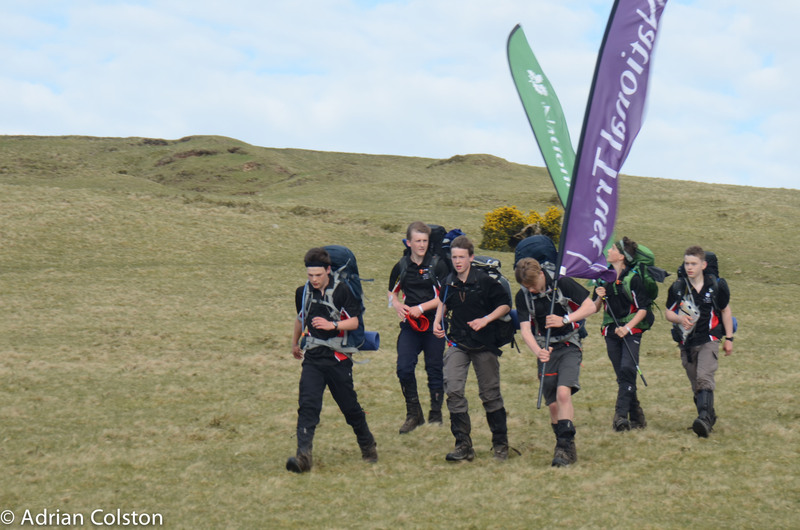 We have been training for the last nine months with Torquay Boys Grammar School preparing 18 young people for the challenge. Yesterday teams of staff and volunteers from the NT and TBGS prepared the base camp (there was even a cuckoo urging everyone on). Today we have a day of briefing and preparation. The main event starts at 7am on Saturday morning. 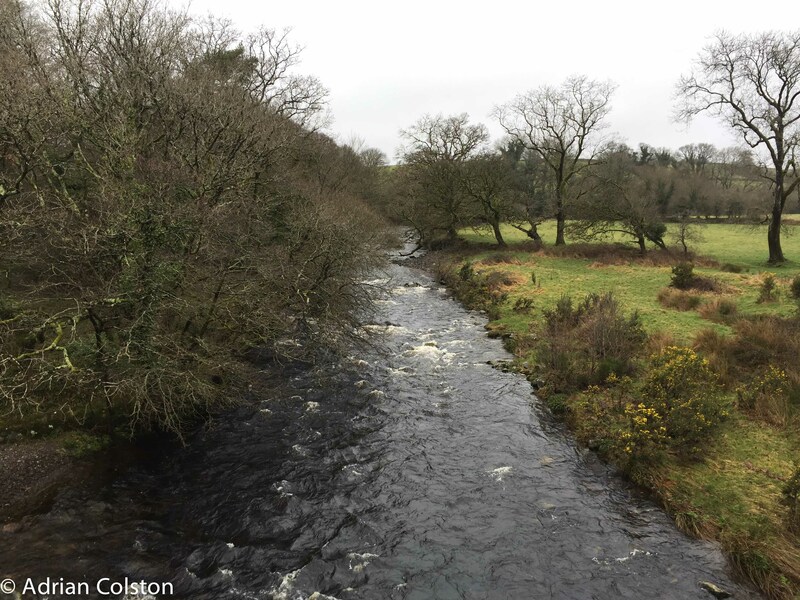 Training has been tough this year – we have been out torrential amber warning rain and winds – see here and cold nights – see here. The teams are therefore ready to go and amazingly the weather forecast looks very good i.e. not raining and cold. Yippee. 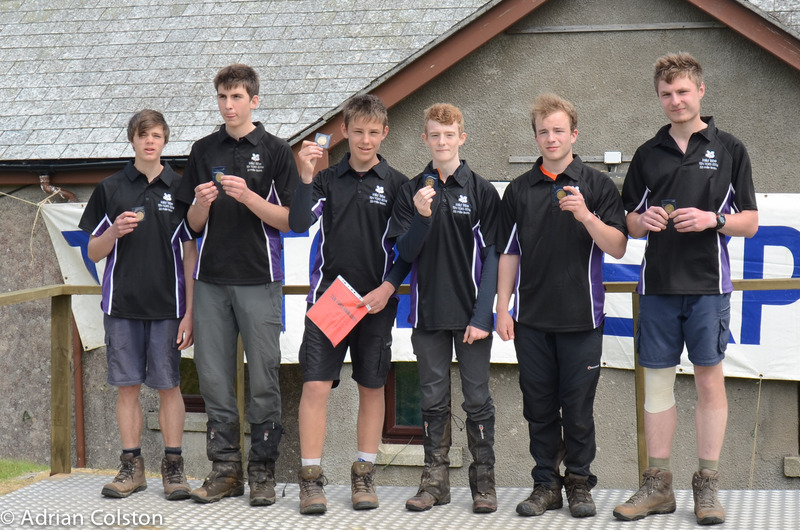 I collected my car pass from Okehampton Camp today after having collected the teams and volunteers ‘event’ hoodies. 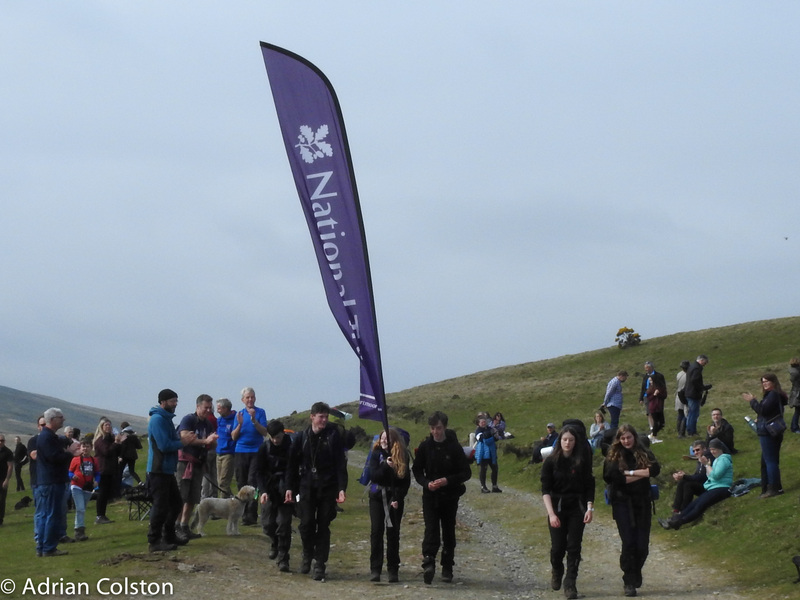 Here is National Trust Wild Tribe 55 mile last year mid event with the Brigadier and a helicopter! How cool is that. 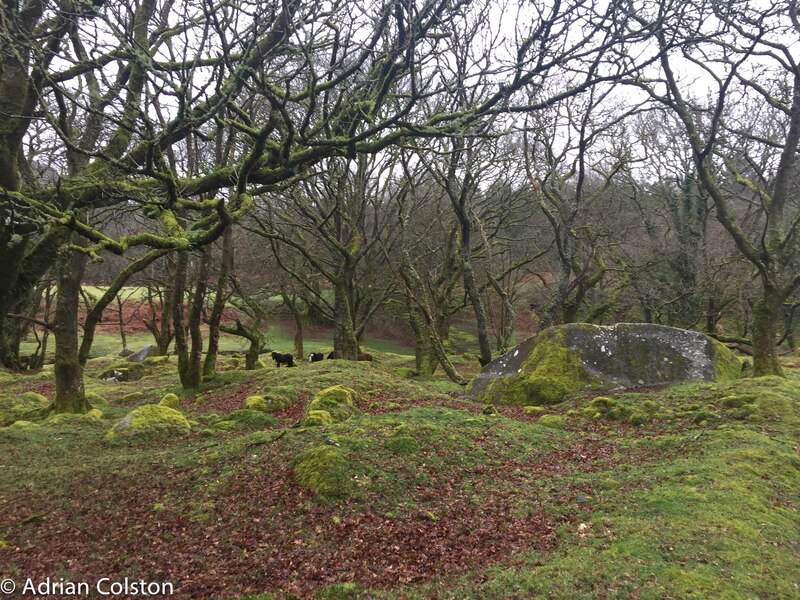 A love of the outdoors, nature and landscapes – it gets them away from their ‘screens’ for while. 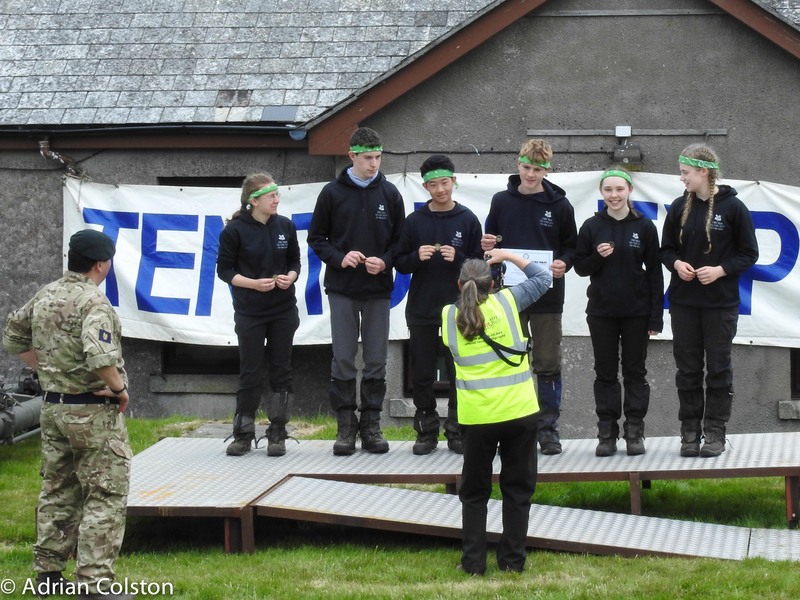 It also gives them fitness, grit and determination, teaches them teamwork and encourages leadership and achievement. Just what the National Trust is trying to encourage by its support of the Wild Network. 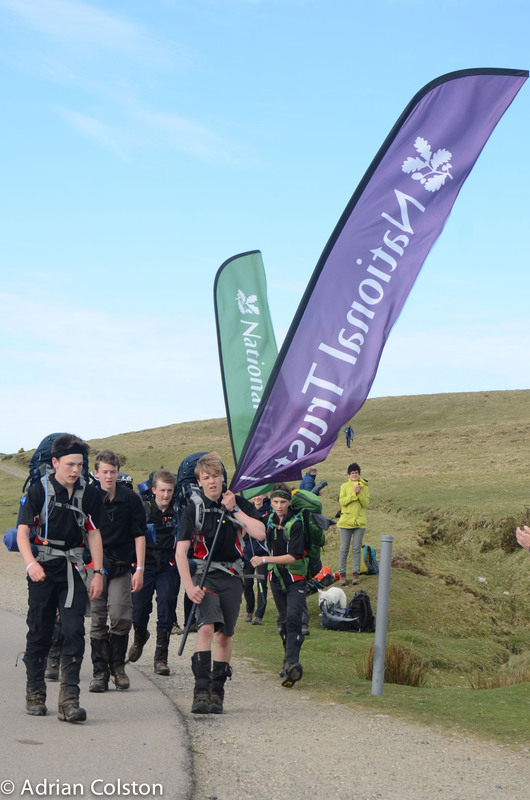 Thank you Torquay Boys Grammar School (and Dr. Roy Colvile and Tony Owen in particular) without you the National Trust couldn’t do 10 Tors.